As the gateway to some of the world’s most renowned ski fields, frequented by tourists, celebrities and royals alike, winter in Colorado combines world-renowned ski fields with après ski activities in the mountainside villages. But as the nation’s number one beer city, with more than 200 kinds produced daily in countless tap houses, breweries and gastropubs, visitors flock to what may well be the most popular attraction of all – the Denver Beer Trail. Download you free Denver Beer Trail Map and Guide. 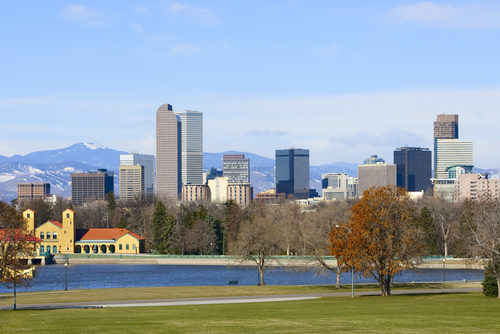 With so many sites and attractions to experience, we’ve put together a list of six free tours and activities to experience when in Denver. Completed in 1908, the State Capitol tour takes visitors behind-the-scenes of the Colorado House and Senate Chambers. The tour also weaves through the magnificent rotunda, with its sweeping views of the Rocky Mountains. With self-guided tours available daily throughout the building, groups of up to 30 on a guided tour are able to explore additional rooms with expert commentary along the way. Taking place in the world’s largest, single-site brewery, this 30-minute self-guided Coors Brewery tour takes you through the continuous malting, brewing and packing stages of the brewery. The tour finishes in the ‘fresh beer room’, where visitors are invited to sit on ice-cube stools in a refrigerated room to sample selected brews to complete the tour. Post-tour and beer sampling, a historical display features old photographs and other historic memorabilia such as beer cans and bottles, before exiting via the brewery’s gift shop. Did you know the Denver Mint produces more than 5-billion coins each year? This 45-minute tour takes you through the coin process where workers and machines create the coins that end up in circulation and at the bottom of your penny jar. As one would expect, security is tight within the facility. Bags, backpacks and strollers are not permitted on this tour, with each person subject to screening and x-ray. Wallets and cell phones (mobile phone) are permitted, with the later required to be turned off. As a tea-loving Australian, unfortunately, America pulls a short brew when it comes to tea making. So to find Celestial Seasonings, the largest speciality tea company in the United States, offering 105 varieties of tea, is a real treat for any visiting tea tottlers. See how tea is picked, prepared, blended and packaged in this behind-the-scenes 45-minute tour. Located in Boulder, Colorado, approximately a 30-minute drive from Denver, the factory also has a direct-to-the-public tea shop and, of course, a tea cafe serving freshly brewed pots of tea and home-made cakes. Unearthed in 1937 during roadway construction, the Dinosaur Ridge Trail is a 1.5-mile stretch of land that is home to hundreds of dinosaur tracks, a quarry of dinosaur bones, and interesting geologic features over 100-million years old. Visitors can hike the ridge and discover tracks, bones and skeletons of these prehistoric creatures that once roamed the land. Triceratops Trail can also be hiked and explored where naturally occurring casts and mould s of dinosaur footprints were permanently etched into the earth. Produced from the dinosaurs track marks, in once deep muddy areas, they were filled with sand over time producing these naturally made fossils waiting to be discovered. See footprints up-close of a Tyrannosaurus Rex, Edmontosaurus and a Triceratops plus birds, mammals and beetles along the sandstone track. The best way to explore a destination is by foot. By pounding the streets, you will discover shops, cafes and hidden alleyways’ normally reserved for locals. Daily two-hour Denver downtown walking tours begin in Civic Centre Park, winding through downtown passing many of Denver’s tourist attractions. The tour ends at Coors Field and covers Denver’s architecture and history.